In line with clients' diverse requirements, we are involved in providing an optimum quality range of Sheet Metal Cutter Plier. - Can be used for curved, straight & internal angle cutting. - Super hardened edge on bottom wheel. - Base mountable on work bench. Akash Industries provides a comprehensive range of Shears and Sheet Metal Shears that cuts both plates and round stock with ease. We are also engaged in offering quality sheet metal shearing services to many of our Clients. - Warranty : 6 months against manufacturing defects. 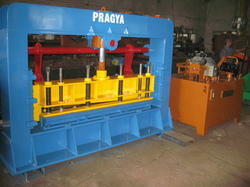 As a client centric organization we are offering an extensive range of Mini Sheet Metal Cutter. Being one of the renowned firms in the industry, we are decidedly involved in providing a high-quality array of Sheet Metal Shears. We are involved in manufacturing of Sheet Metal Shears. 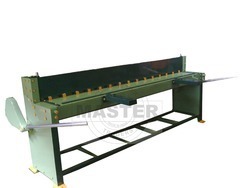 With the constant support of our dexterous crew of technocrats, we are fulfilling the varied requirements of clients by trading and supplying optimum quality Cordless Sheet Metal Shear. - Widely used in construction industry. Our qualified team of professionals, our company is involved in rendering Shearing and folding services. These Shearing and Folding Services provided as per the specifications of customers. To get the total satisfaction of clients, we offer this service at most reasonable rate.